Last week we talked about fruits and vegetables in the medieval diet, but this week we’re going to get to the “meat” of the subject. And the poultry. And the fish. Medieval food relied heavily on pork and beef. Since there were large areas available for breeding pigs, pork was the most important component of medieval food. The greater part of a domestic banquet was pork, and no feast was complete without hams and sausages on all tables. People ate so much pork that the government started passing sanitary measures in Paris and other towns, and public officers had to examine the animals to make sure they were fit to eat. Beef was almost as important as pork for the medieval person. There were even regulations to ensure the best quality of beef. For example, a butcher could not sell meat unless “it was previously seen alive by two or three persons, who will testify to it on oath.” That sounds like something we should reinstate today. Also, interestingly enough, when the church ordered an abstinence from meat, butchers were not allowed to sell it. However, the trade of a butcher was still a very profitable trade. As far as poultry goes, geese were a must-have food in the upper class, and one item in the households of the king of France was always the poultry-house. However, the nobility appreciated fattened pheasant, as well as swans and even the occasional peacock. Swans were rather common in the main rivers of France, and peacocks played an important role in chivalric banquets due to the common supposition that peacocks are “food for the brave”. Since no one ate meat on Fridays for religious reasons, everyone at fish on those days. For those who lived on the borders of lakes, ponds, or rivers, freshwater fish was the meal of choice since they could get it fresh. People particularly enjoyed pike, lampreys, trout, and carp; but the trade in salted sea-fish meant people ate salted herrings, mackerel, flat-fish, whiting, and codfish. In the 1300’s specifically, there was even a recipe involving the salted flesh of a whale. Salted fish was only eaten by the lower class though, as it was difficult to digest. So there you have it. Now when you come to the Sarasota Medieval Fair, you’l know all about the kinds of food the cast members will be eating! If you’d like to learn more about medieval food, or you have any questions about it, leave a comment below or on Facebook at http://www.facebook.com/sarasotamedievalfair. Remember, peasants can’t revolt on an empty stomach, so what did they eat and drink? They didn’t have pizza in medieval times, no fried chicken, and unfortunately, no soda either. Dining back in medieval times was rather different. The most important component of medieval food was bread. Typically, it was cooked underneath the embers of a household’s fire place, and the loaves were very thin. The reason for this is that adding yeast (the stuff that makes bread rise for those of you who don’t know) was not widely adopted, so if the loaves started out too thick, they wouldn’t be thoroughly cooked. A crunchy outside and a chewy inside might be good for some foods, but it’s not something people want in bread. Another piece of the medieval diet was fruits and vegetables. Unlike today though, vegetables were never considered a necessary part of the diet, and were generally eaten only by monks under vows of abstinence. However, the cabbage is an exception to this trend, and in France, a type of cabbage called “Senlis cabbage” was said to exude a smell “more agreeable than musk or amber”. Fruits were much more important, and pears, apples, and plums were generally held to be the best. Even as early as the 1200’s there were a great variety of these fruits and were an essential part of the medieval diet. Additionally, people in medieval times considered a fruit called quince (which just tastes like quince) to be the most useful of all fruits. They could use it in dried preserves, seasoning meat, and even making wine. Who knew there was so much to the food in medieval times? Next week, we’ll talk about the “main courses”, namely meat, poultry, and fish. 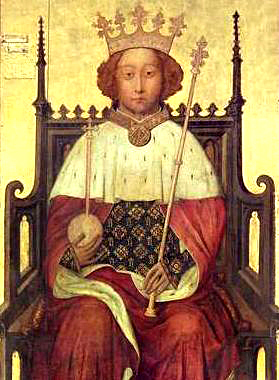 Did you know that Richard II wasn’t always going to be king? As a second child during the reign of his grandfather, Edward III, the succession went to his father Edward, the Black Prince (which is admittedly the best moniker ever for a prince), then to his older brother Edward of Angoulême. Unfortunately, his brother died when Richard was four, and his father died when he was 9. The following year, his grandfather died, Richard succeeded him as king at only 10 years old. During his first years as king, a series of councils ran the government. However, John of Gaunt, uncle of RichardII, soon took control, much to the displeasure of everyone else. In fact, he was so unpopular with the people that he is one of the reasons the peasants revolted. As it turned out, Richard ended up leading negotiations with the peasants while John was nowhere to be found. He tried once to rendezvous by boat with the rebels on June 13th 1381, but the immensity of the crowd on the banks made it impossible for him to land. The next day, he set out by horse and met the rebels at Mile End (the east end of London). He agreed to the rebels’ demands, but this only made the peasants more unruly. He met with them again the next day, but Wat Tyler was unconvinced of Richard’s sincerity, and his ornery behavior led to him getting killed. The peasants were almost out of hand, but Richard managed to calm them down and even let them return to their homes. However, lest you think he is a completely generous king, he soon revoked the charters of freedom and pardon, and as violence continued, her personally traveled to rebellious areas and finally suppressed all of the rebels. Those peasants certainly put up a good fight though. Come see it this year at the Sarasota Medieval Fair! itself, but the Open Auditions are. rehearsals is to hone cast members’ improvisational skills. result of the crowd cheering on a festival day makes it worthwhile. contracts have already been finalized. the Sarasota County DMV), and be ready to show your talent! will be held on November 12-13 & 19-20, 2011 from 10am – 6pm rain or shine. 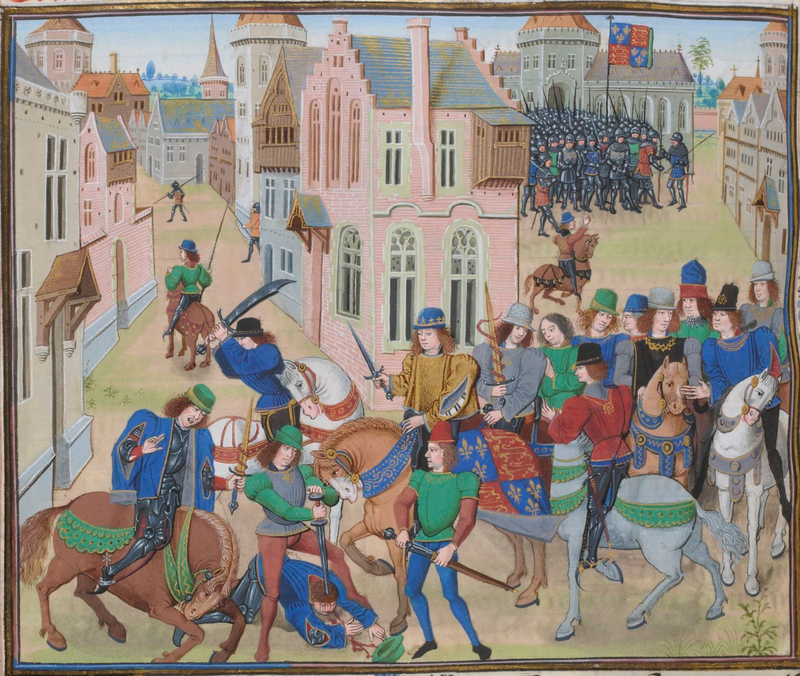 Violence is spreading through England and a few men have risen to the ranks of leaders: John Ball, Jack Straw, and the “king of the peasants”, Wat Tyler. Peasants are tired of royalty bossing them around and they have rallied behind these three great men to march on London and demand their rights! However, the royalty will not take this sitting down. They’re making plans behind closed doors in London, planning ways to put down the peasants once and for all. Will the peasants evade the cunning of English royalty, or are they marching into a trap? Find out this year at the Sarasota Medieval Fair! 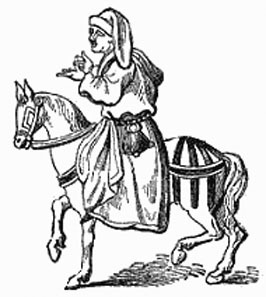 John Ball played a big role in the Peasant Revolt. He was a Lollard priest (a religious sect that called for church reform) who’s claim to fame was being a roving priest with no parish linking him to the established church. As he traveled, he shared the teachings of John Wycliffe, especially those dealing with social equality. Even before the Revolt, these teachings got Ball into some trouble. The Archbishop of Canterbury threw him into prison three different times, and even excommunicated him! Not one to be deterred, he continued to preach about the same subjects and the people still loved him. He managed to start a riot in June of 1381. Once the Revolt began, John Ball was in prison, but the peasants quickly released him. He later gave a sermon at Blackheath which included the famous quotation “When Adam delved and Eve span, who was then the gentlemen?” and although some sources (ones who didn’t like Ball) say that he was among those who rushed into the Tower of London in order to seize the Archbishop of Canterbury, he does not appear in most accounts after his speech at Blackheath. At any rate, he was still taken as a prisoner after the revolt and was of course found guilty. He was ceremoniously hanged, drawn and quartered in the presence of the king in July of 1381, and they stuck his head on a pike on London Bridge. While we are certainly not doing that at the fair, rest assured that you’ll see John Ball around in November. Did you know Jack Straw isn’t just a figure in history? He’s left his mark on English culture as well. He’s mentioned in a book, in a play, and in a few other places. You’ve probably heard of the book The Canterbury Tales, but in case you haven’t, it’s a collection of stories written in Middle English (older than our English, but more recent than Old English) by Geoffrey Chaucer. 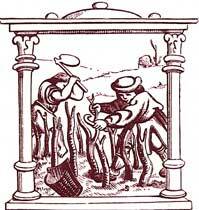 Due to Straw and his followers supposedly murdering several Flemish residents in Bury, one of the stories in The Canterbury Tales mentions straw as being the leader of a mob targeting foreign workers. Straw was also the main character to an old play by the name of The Life and Death of Jack Straw. Written in 1593, this play dramatized the events of the Peasant Revolt and was one of many plays at the time set in England. In more recent years (1930), the book 1066 And All That satirized the confusion caused by contrary reports of events, stating that the peasants revolted “in several reigns under such memorable leaders as Black Kat, Straw Hat, John Bull, and What Tyler?” Finally, you can look for the pub Jack Straw’s Castle in London that took its name from a story that Straw spoke to rebel groups on the Heath from a hay wagon which became known as “Jack Straw’s Castle”. It just goes to show you that history doesn’t just stay in the past. See if you can find any references to Jack Straw in your travels, and join us next week as we talk about one of the other important figures of the Revolt, John Ball. Today, the character in the spotlight is Jack Straw. Little is known about him, or the other leaders involved in the Peasant Revolt. Some say he was a real person, others say he was simply a pseudonym for Wat Tyler (the main leader of the rebellion), and still others believe he never existed at all. No matter how you look at it though, he still left his mark on English history and culture. Several chroniclers of the revolt mention Straw, and Thomas Walsingham stated that Straw was a priest and second-in-command of the Suffolk contingent of the rebels. However, this is probably a result of confusion with a man named John Wrawe, an unbeneficed priest who actually led the Suffolk uprising. This same historian claims that Straw and his followers murdered notable local figures in Bury (a market town in the county of Suffolk, England), but other historical sources refer to him as the leader of the men of Essex (However, this disproves the claim that he and Wat Tyler were the same person, since Tyler led the rebels from Kent). People generally agree that Straw (or Tyler depending on how you look at it) was executed in 1381 along with the other revolt leaders. Historian Jean Froissart says that the king’s men found Straw hiding in an old house, and was promptly beheaded along with another leader, John Ball. Additionally, Thomas Walsingham states that Jack Straw gave a confession in which Straw said that the plan was to kill the king, all landowners, bishops, monks, etc… Straw also said that they were going to set up their own laws and burn London. So was all of that a little bit confusing? Don’t worry, you’re not alone. Historians today are still uncertain as to how the lives of the Peasant Revolt leaders went, with some chroniclers saying one thing and other chroniclers saying another. We’ll sort it all out this year at the Sarasota Medieval Fair! Last time, the peasants met with the king and their leader, Wat Tyler, was murdered by one of the king’s knights. Richard deftly deflected the anger of the mob at seeing Tyler surrounded by the king’s men by shouting, “You shall have no captain but me”, and claiming he would knight Tyler. After this, King Richard told the peasants to go to St John’s Fields (just outside of the city walls of London) and that Tyler would meet them there. However, the king broke his promise and tracked down the leaders with a hastily organized militia of 7000 men. Of course, the king’s militia didn’t just capture the leaders; they killed them as well. After the revolt’s collapse, the king took back the promises he previously made to the peasants, and all of the peasants involved in the rebellion quickly disassociated themselves from all rebellious activity, lest they incur the king’s wrath. Again. All in all, despite the name “Peasants’ Revolt”, participation in the revolt was not confined to just serfs or the lower classes. Some people of noble birth, such as William Tonge who opened the London city gate for the peasants, also aided the peasants. Even though the king successfully put down the revolt, it still showed that peasants can cause chaos, and after the revolt, kings no longer used the term “poll tax”. Next week, we will talk more about some of the specific people involved in the revolt. Last week, the peasants stormed London and got the attention of the king, who met them one day for negotiations. The day after, at Smithfield, the peasants arranged further negotiations with the king. However, this time, the meeting did not go according to plan. Wat Tyler rode ahead to talk to the king and his party, and then things started going horribly wrong. According to the king’s chroniclers, Tyler behaved rather belligerently and called for a drink in a most rude fashion after dismounting his horse. In the resulting dispute, Tyler drew his dagger and in response, William Walworth (the Lord Mayor of London) drew his sword and attacked Tyler, wounding him in the neck, and then Sir John Cavendish (one of the King’s knights) drew his sword and ran it through Tyler’s stomach, killing him almost instantly. Naturally, the rebel army was outraged upon seeing Tyler surrounded by the king’s entourage, but King Richard cleverly defused the situation by shouting “You shall have no captain but me”, which was deliberately ambiguous, since he claimed to have knighted Tyler (which would put Tyler under the king, thus making the king “the captain”). Those poor peasants, they didn’t know what was coming next. Fortunately for you, you’ll get to find out next week.